Metasearch dates back to 1999, when both SideStep and FareChase launched as search engines that aggregated prices from other online sites. In a November 2017 report, Phocuswright found nearly half (43%) of travelers in the United States use metasearch sites to shop for flights and hotels. That’s up from 28% in 2010. In recent years, with the rise of mobile, metasearch sites have been shifting from strictly providing price comparison and referrals to getting into the business of booking as well. This month we are digging into the topic of metasearch. 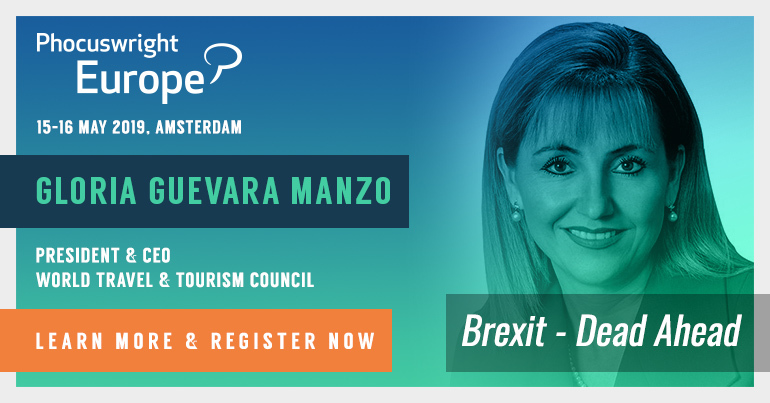 We begin with perspective from a company that is both one of the newest entrants and also one of the most dominant figures in the travel search space: Google. Vice president for product management Richard Holden shares insights on Google’s search strategy for hotels and flights. He also discusses Google’s relationships with suppliers and intermediaries, international strategy and ambitions for voice-assisted search. Google’s offerings in travel have expanded far beyond simple metasearch, including several updates in recent weeks. How do you describe your model and where it stands today? We look at this very much like we have always looked at search overall – and just trying to provide the right information to users at the right time – both in an organic sense and ad sense. We’ve been spending the last several years very focused on trying to build our depth and comprehensiveness in flight search and hotel search. As Google has transformed more from 10 blue links on a page to answers in particular, we are trying to come back to users with more specific answers to their inquiries and speed their search for a particular solution. Our focus has been around that, trying to make sure we have the most comprehensive, fast service that we can possibly provide. Now you are beginning to see in some of the work we are doing and announcements we’ve made another layer on top of that where I would say we are trying to stitch together our experiences a little more cohesively to help the user at whatever stage they are in their travel planning. We see users come to Google very early in the funnel sometimes in terms of their inquiries in what they want to do in travel and sometimes very late in the funnel. They touch Google throughout their travel planning process, and we think we can do a better job at helping the user pick up that research where they left off at whatever time they come back to Google. We are looking for depth and comprehensiveness in the core product, and then we are trying to tie all those things together to help a Google user any time they come back to Google. Are you working toward making Google a one-stop shop for travel? I don’t know if I would go that far, but I guess I would say what I hope is that Google today is an important piece of anybody’s research that they do on the web in general, and we can help organize those things automatically for a user so we can make any bit of research they’ve done available to them at the right time. I think about when I go look at Google Maps and maybe I’m interested in looking at Tokyo and a future trip. Somebody might have recommended a restaurant to me, or I read an article about a restaurant, maybe I’ve starred that restaurant in Google Maps or maybe I starred that article itself when I was looking at it in News. Then when I go back and do research on Tokyo in the future I may not remember this, but I may have elements of a trip there and Google will remind me yes, this is a restaurant you wanted to see on a visit or these are sites you wanted to see. In a way it’s sort of collected automatically in the background, helping you organize your research without you having to do much about it. Will you be widening Google Trips to become a meta offering as well as a travel itinerary service? The Trips app right now is really very much focused on this notion of organizing your research and gathering all your elements together in one. We don’t have any particular plans to add search and shopping to the product right now. Same for the web version of the product. It will be one of those elements we use to help stitch the experience together … where you can navigate easily and pull out that itinerary information wherever you might need it. As of right now there’s no plan to add shopping capabilities in the native app. Overall for hotels and flights, what is your view on partnerships with suppliers versus intermediaries? We work with both. We definitely feel that having a strong ecosystem as a whole requires having both involved in it. And I think we also believe on the ad side of the business we deliver value to both. We very much look at ways that we can maintain the ecosystem over time. We want it to be a valuable market for both the suppliers as well as the OTAs. We work pretty hard to make sure there’s opportunities for both to play in the market. So I wouldn’t say we are leaning toward one versus the other. We are very focused on both. Is your strategy for mobile evolving differently than for desktop? It’s no secret that Google overall went through a transformation where we were at one point saying mobile-first and then we were basically saying mobile-only as a company. A lot of what we work on at Google now gets released on mobile, and sometimes desktop follows and sometimes it doesn’t. It’s really very mobile-focused. Travel has been a little slower on that trend only because travel planning happens over multiple sessions, we see it over multiple weeks and then over multiple devices as well. So people are using both mobile and desktop to pursue that. I can say though, this last year, the majority of our searches that we see in hotel search and flight search are mobile-oriented. We hit that tipping point last year. We haven’t in travel very much taken on the mantra of mobile-first, but we still quickly develop for desktop as well because we think that that’s important when people are trying to make large purchase decisions. Many people are more comfortable doing that on the larger screen of the desktop. I would say the trends are such that we do focus on mobile-first and our philosophy generally is if we can come up with a great design for mobile, we can probably implement it pretty efficiently on desktop where we are not constrained in terms of space. But you will hear some groups at Google talk about mobile-only. Right now in travel we definitely talk about mobile-first, but still desktop as well. What is the status of Book on Google for hotels and flights? This is a long-run plan. It takes a long time to do all the integrations necessary to make this happen across our various partners, but we are pleased with the progress. Flight search is progressing very well. Hotel search got started a little later and is progressing well too. Our philosophy around our Book on Google capabilities is we very much look at it as we are helping somebody get from start to finish very quickly and efficiently as possible, and we want to ensure the conversion rates are as high as possible for our partners. At the end of the day we very much view it as we are facilitating a transaction, we are not about being the merchant of record. What are the different challenges between your work in flights versus hotels? The similarity for sure is that we are going in-depth in trying to get comprehensive data and trying to get that data fast. In some ways it’s more challenging in flights simply because the permutations or options from the origin/destination standpoint across dates, etc., have so many different combinations – there is so much computer power that needs to be dedicated to make this work well. Hotel search is similar though the problem space just isn’t as broad as it is in flights simply because of the options - there are just fewer hotels out there than there are all the different flight options that might exist. We try to build caches for both flights and hotels where can deliver results Google-fast or instantaneously. That requires a lot of cooperation with our partners overall and can put a lot of bandwidth demand on our partners too. So a lot of our work is spent on trying to figure out smart technologies using machine learning also as a way to figure out where we need to update the cache, when it’s gone stale, to reduce the bandwidth and data impacts we are having on our partners as well as when we pull data from them to be able to serve these results very quickly. In some ways, they are very similar, large data set problems that Google is well-situated to take on, and in some ways they are different because they operate at different scale. 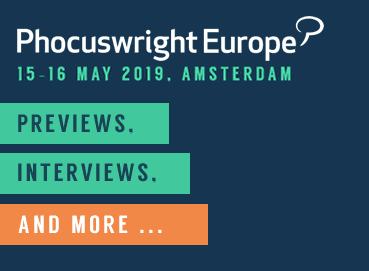 You spoke at Phocuswright Europe in May and shared that Google at that time was in the early stages of incorporating vacation rentals into your hotel search. Where does that stand today? We have incorporated our first round of data in the United States, but the data we have incorporated at the moment is very focused on content that is very similar to hotels. You can think of that as corporate stay-like apartments and the like and less of the vacation rental homes or unique destination homes. We are working on phase two now where we would expand the type of content that we have incorporated in the product and also expand the partners we have participating in the product too. It’s progressing. I would still say it’s early stages for the product, but we are definitely pushing forward to expand the type of content we have in it as well as the type of partners. What is your international coverage? We have a mandate at Google generally when we launch products, search-oriented projects, to expand them to 40-plus languages as quickly as possible. We’ve definitely been focused on similar goals in travel. We are seeing people engaging with voice inquiry aggressively across search as a whole, so we do think there’s promising future there for travel as well. Our hotel search offering and hotel ad offering has been available worldwide in all Google markets for a number of years now. We focus in particular markets to try to improve quality more and get deeper and deeper coverage in those markets, but the product is available in most Google markets around the world. Flight search has been a little different. We’ve done it more on a market-by-market basis. We were in probably 35 markets or so about a year and a half ago, and now we are in 70 markets for flight search so we have been trying to rapidly expand the coverage there. We usually don’t launch flight search in a particular market until we have deals with major carriers in the market, and we can ensure we have 80 to 90%-plus coverage of all the flights inbound and outbound of those markets as well. We have specific data requirements that we have before we launch flight search in markets as well. What are your plans regarding the intersection of travel search and Google Assistant voice capabilities? I would say that right now there has been a big effort in the company on focusing in on where the Assistant can apply across Google services in general. Travel is no exception in that area. We do have a team that’s focused on how the Assistant can best apply in the travel context. I would say one of the complexities in travel is that the use cases are fairly complex, the dollar amounts are high. A lot of Assistant focus in the last year and a half here at Google has been very much on helping users get things done and usually they are task-oriented or info-oriented. Because of the nature of a lot of travel inquiries that are multi-step, we do think that voice is interesting and helpful, but we are big believers in the travel space that having a companion screen is important. When you think about the Assistant, we think in travel more about the Assistant on mobile devices rather than on the dedicated home device, because in many cases when you have an inquiry from a customer you want to present a bunch of travel information back to them and let them look at it on a screen and choose what they want from that. I think there are two areas we will focus on more than anything: We think the Assistant can help a lot in the context of where stress is highest in relation to travel, and that usually is day-of travel itself. We are focused on looking at use cases that could help the user when they are getting ready to go the airport and on the way to the airport, etc. That’s where things like flight status come into account and our investment there will pay off well from the user perspective in terms of automatically notifying when a flight might be delayed or when they might be able to look at an alternate flight. We’re also looking at trying to help users in the context of doing hotel booking through the Assistant. We think there can be a strong use case around last-minute hotel booking in particular when somebody might be in a Maps context, in-destination, looking for a last-minute place to stay.